As we weigh taking action Syria, a strike using technology, rather than missiles, might be the best option. If the Obama administration does conduct military strikes against Syria, as seems likely, it should use military cyber weapons at the earliest possible moment to show the upside of military cyber power. Though this is risky, as it puts the focus on the U.S. militarization of cyberspace, it is likely worth doing to show that cyber operations are not evil witchcraft but can be humanitarian. This is not the first time the United States has been here. In 1999, the White House was reported to have initially approved a plan for covert "computer attacks on foreign bank accounts held by [Slobodan] Milosevic and other Serbian leaders, such as draining assets or altering banking records." A few years later, during the time of the second invasion of Iraq, a similar plan was rolled out to "cripple" the financial system of Saddam Hussein's Iraq, leaving him "no money for war supplies. No money to pay troops." Neither plan seems to have been executed. The Treasury Department and senior political officials apparently blocked these attacks, for fear of cascading failures and setting a precedent of targeting banks. More recently, according to the New York Times, the Obama administration and military commanders considered “a cyberoffensive to disrupt and even disable the Gaddafi government’s air-defense system.” A cyber strike on Libya was apparently ruled out both because there was not enough time and also because officials felt that cyber capabilities are like a "Ferrari" which should be saved for the "big race." The Israeli Air Force apparently did not think so, as it was widely reported they used a backdoor "kill switch" to disable Syrian air defenses en route to destroying an illicit nuclear reactor. Given this history, what can and should the United States do today against Syria? It is unlikely that President Obama will authorize covert cyber operations against Bashar Assad's finances. Both of his immediate predecessors declined such attacks and the world economy and financial sector are already in a perilous state. A limited cyber attack integrated with traditional military forces should be a far more tempting option. Cyber capabilities could first disrupt Syrian air defenses directly or confuse military command and control, allowing air strikes to proceed unchallenged. A cyber strike might also disable dual-use Syrian critical infrastructure (such as electrical power) that aids the regime's military but with no long-term destruction as would be caused by traditional bombs. Last, it is possible the U.S. military has cyber capabilities to directly disrupt the operations of Syria's chemical troops. This would need very specific capabilities against hard-to-reach computers; any disruption would be short but such an attack is feasible. The first constraint which reportedly ruled out cyber attacks against Libyan air defenses, the time needed, should not be a constraint for Syria: the U.S. military has had months if not years to develop the requisite cyber capabilities along with options to deliver them to the optimal targets. On the second constraint, this might be the 'big race' that U.S. officials have been waiting for, but for political reasons, rather than military. In the past several years, the United States has been caught using Stuxnet to conduct a covert cyber campaign against Iran as well as trawling the Internet with the massive PRISM collection operation. The world is increasingly seeing U.S. cyber power as a force for evil in the world. A cyber operation against Syria might help to reverse this view. Recently, experts from United States, China, Russia and other states reported to the U.N. Secretary General that existing international law, including international humanitarian law (aka, the laws of armed conflict such as the Geneva and Hague conventions) apply to cyber conflict. By sparing the lives of Syrian troops and nearby civilians, an opening cyber operation against Syria could demonstrate exactly how such capabilities can compliant with the international humanitarian law. European allies would see an operation within the norms of shared transatlantic principles, not at odds with them like Stuxnet or PRISM. Unfortunately, it is unlikely cyber capabilities will be used, or at least unlikely the White House and military will discuss them even if they are. The classification around these operations has created a self-sustaining taboo. Even though the U.S. national interest is greatly served by removing the voodoo mystique around them, official silence will allow doubters and the ill-informed to continue to dominate the debate. 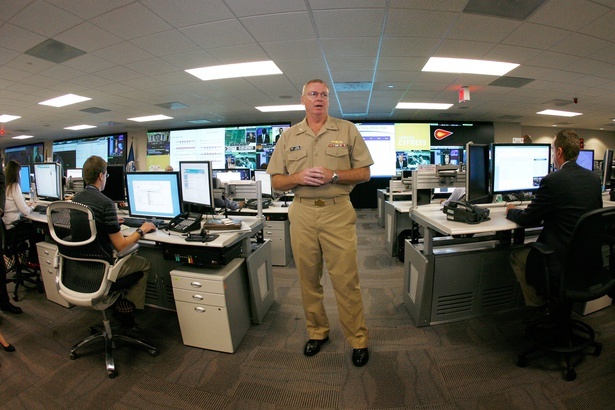 Despite my own background in U.S. military offensive and defensive cyber operations, I have long been a skeptic of the use of military cyber power as it has been used off the battlefield in sneaky circumstances. America should take this chance to demystify these weapons to show the world they, and the U.S. military in general, can be used on the battlefield in line with humanitarian principles. This article was originally published at Defense One. Jason Healey is the director of the Cyber Statecraft Initiative at the Atlantic Council.